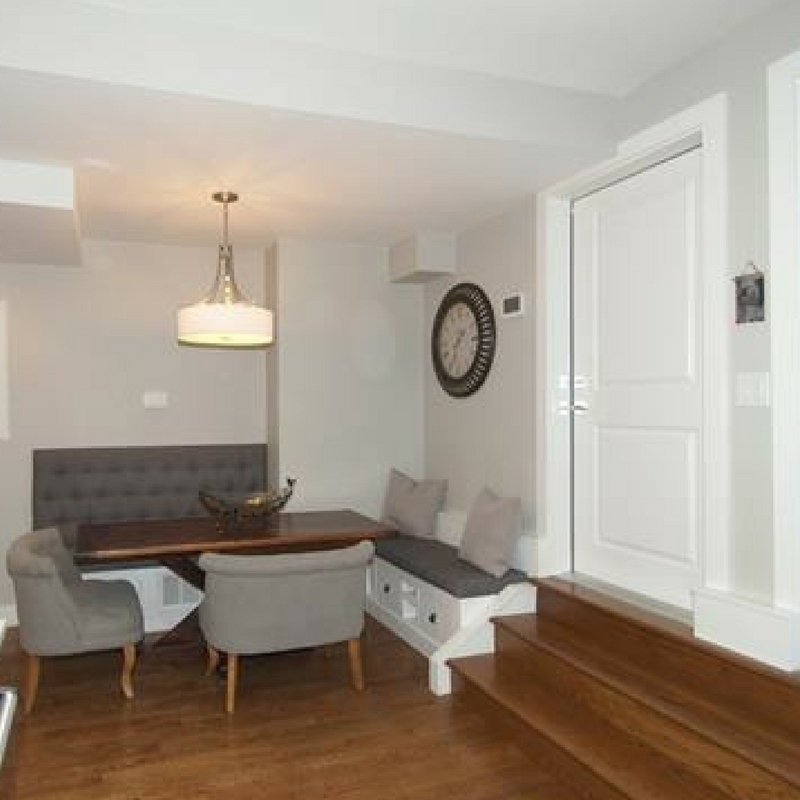 This breakfast nook in Cherry Creek North townhouse is the perfect spot to enjoy a quick cup of coffee in the AM. Built in 2016, this home is almost new. The kitchen has stainless steel appliances with a large island and opens to the living room. You will surely be impressed with this home as it has over $70,000 in custom upgrades. Listing courtesy of TBK Real Estate Solutions.